If you’re considering yearbook digitizing services but have been holding off out of fear it’s just not in the budget, it’s time to look at the cost-effective side of the service. For most businesses budgets are the deciding factor in the decision-making process, and a school or educational institution is similar in that it has a budget it needs to stick to. With that said these yearbook digitizing services are becoming more and more commonplace in the education system and that’s no coincidence. These institutions aren’t just ignoring their budget, instead they are seeing the cost-effective side of this digital option. Here’s the question you may be facing right now: what are the costs involved in reprinting a yearbook versus digitizing it? Now the answer may surprise you, but in most cases it’s cheaper to actually digitize the book. Keep in mind once you digitize it, you won’t have to worry about it getting lost, worn, or ruined because you will always have that digital copy. That means there won’t ever be a need to re-digitize it, unlike printing where there is no guarantee it will be the one and only time you need to reprint it. Typically document scanning services will offer bulk rates on yearbook digitizing services, which means the larger the volume, the better your rate will be. If you’re interested in getting a quote it’s best to wait until you have a large number of books to digitize. Your cost per book scanning service will be at the absolute best deal. In the end this translates to more cost savings for your institution, and a budget that stays balanced which means everyone is happy. You could also take that same volume of books and ask to get a quote on having them reprinted / printed, this is another great way to compare the cost. 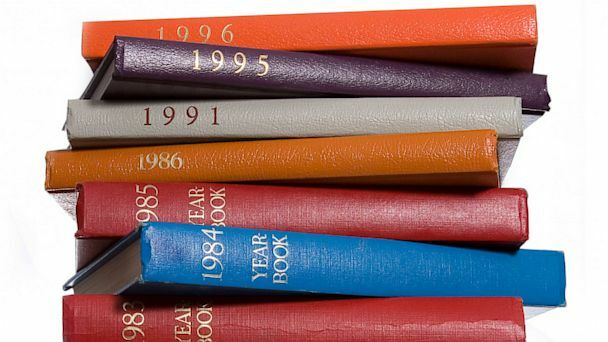 eRecordsUSA is specialized in providing Yearbook Digitizing Services / Yearbook Digitization Services / Yearbook Scanning Services / Yearbook Imaging Services. If you would like to receive a free quote to scan your lab notebooks? call +1.855.722.6669 or eMail us at info@eRecordsUSA.com. eRecordsUSA offer yearbook digitizing service in following areas of California, Santa Clara, Sunnyvale, San Jose, Marin, San Mateo, Silicon Valley, Mountain View, San Francisco, Redwood City, East Bay: Oakland, Pleasanton, Dublin, San Ramon, Milpitas, Livermore, Fremont, Concord, Alameda, Contra Costa, Hayward, Napa Valley: Fairfield, Sonoma, Pittsburg, Vallejo, Santa Rosa, Petaluma, Solano & Martinez.